It is hard to believe, but Madeline is off to college. 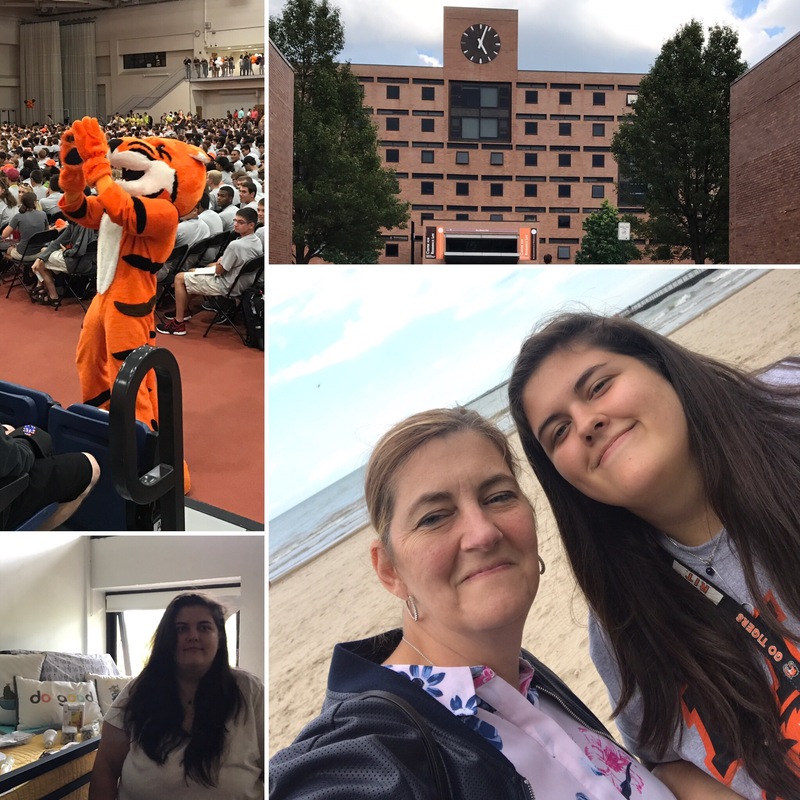 She is all settled in as a freshman at Rochester Institute of Technology and is off to a great start. 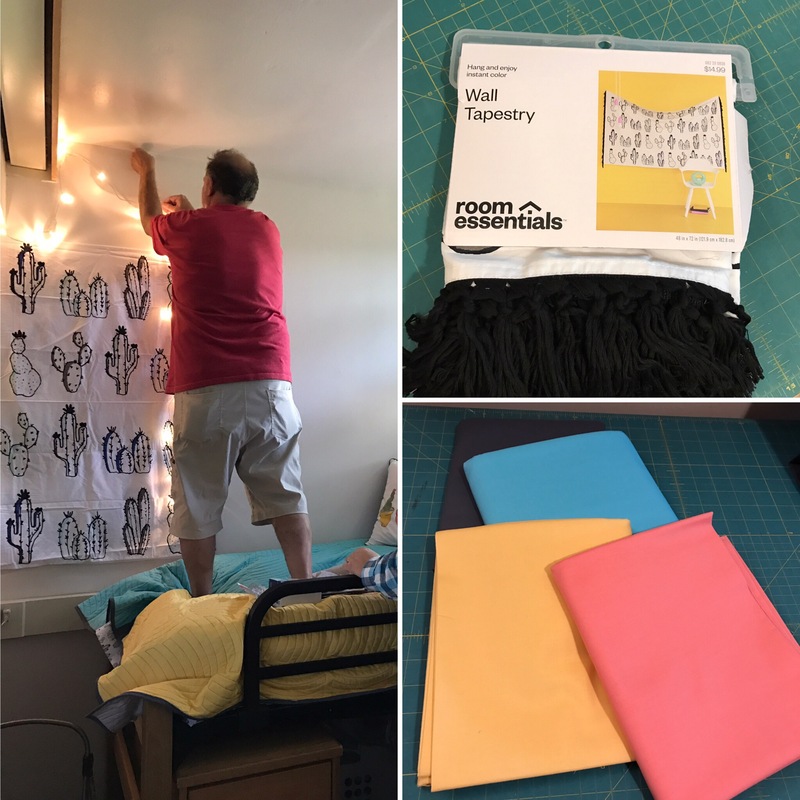 When she started planning her dorm room, the only thing that was for certain was that she wanted something very modern and it had to pull her room together. 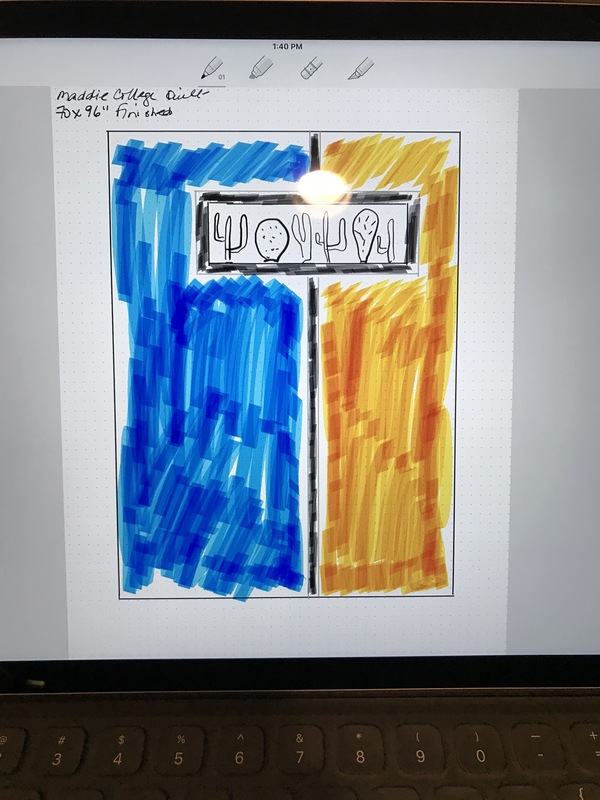 I did the design on my iPad and then copied the image to figure out the math. 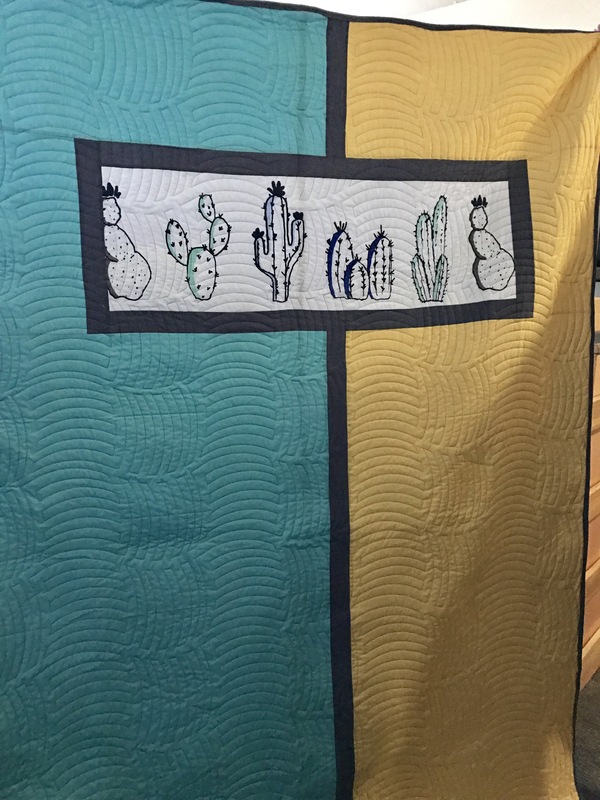 She bought a cactus tapestry at Target to hang on her wall, and I snagged a second to be the focal point of this quilt. She also found some accent pillows so I matched the colors hsing Kona Cotton. The coral was a little much so now I have that stashed away for another use on another day. I did a modern panto in a variegated grey for the quilting. We agreed we needed to fill the space, but we didn’t want anything fussy. Final dimensions are 70″w x 92″ long. It is probably a little too big for her twin XL bed, but she will appreciate it this winter! Now she is all moved in and ready to make the most of this opportunity. 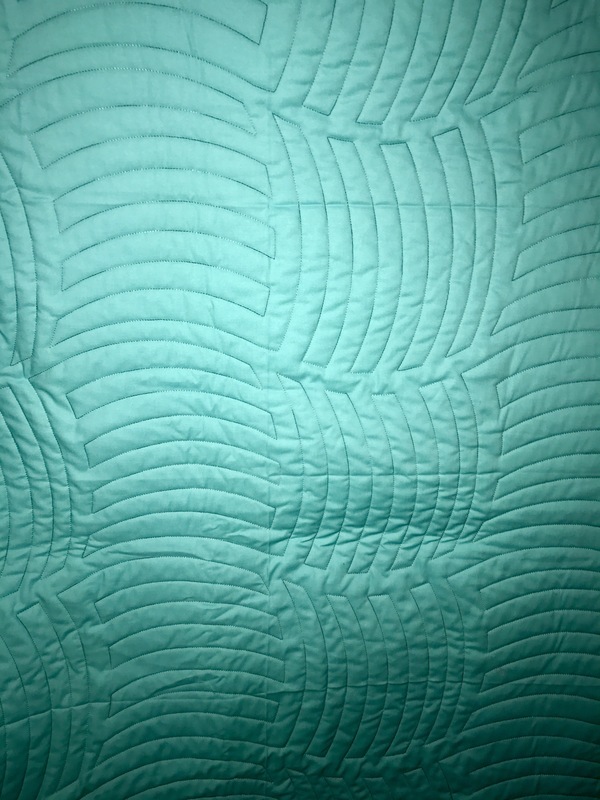 The house is quiet without her, but hey, more time for quilting! 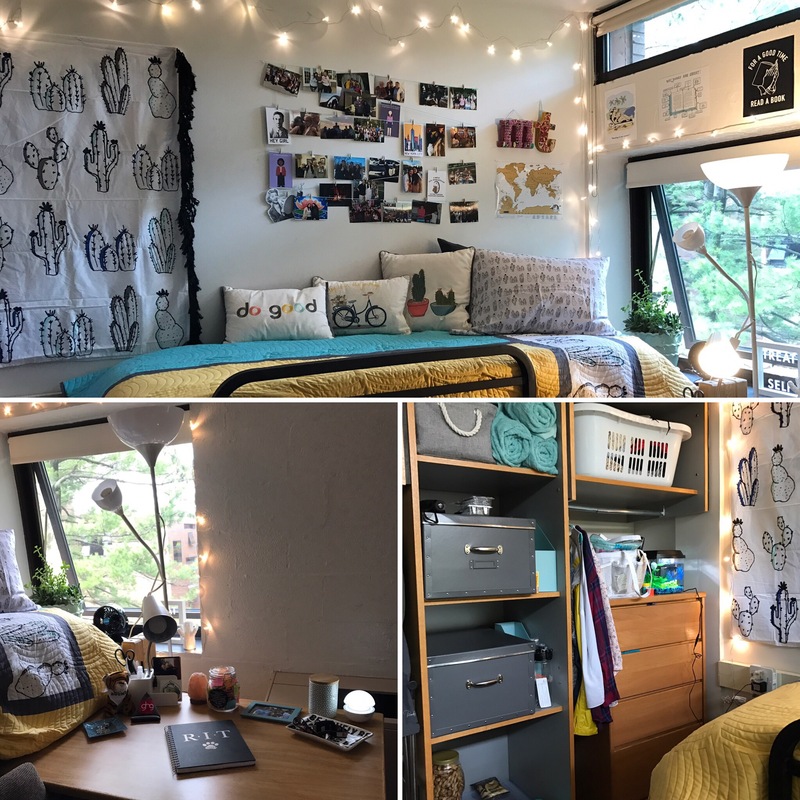 Wow, the dorm looks gorgeous. Congratulations!! Good luck for your Maddie. I keep imagining when how it will be when it’s time to send my Clara to college. But I have time. She’s only 5.